Developing confidence in athletes is a key part of coaching, as is the way teammates communicate with each other. *Final post in this series. Check out Part 1 – Preparation and Success; and Part 2 – Coach’s Words and Actions. This is the final post in a short mini-series on confidence and our role as coaches in instilling and developing confidence in our athletes. Here we shift to the other most impactful people on an athlete’s confidence – teammates. While there are many external voices – parents, family members, teachers, fans, etc. – that players hear that can influence their confidence, the most impactful voices other than a coach’s are the voices of teammates. How teammates talk to one another and behave towards one another can have a huge effect on their confidence. Kids are very concerned with how their peer groups view them. They don’t want to stand out in the wrong ways. They want to be liked, popular, or at the very least, not hated or look foolish. So they do all they can to make sure that they are pleasing the people in their peer groups. On teams, while it is good for players to care about one another and care what others feel, if they take this too far, it can cripple their own performance. If a player feels that her teammates don’t like her or don’t want her to try to perform certain skills within that sport, she may end up not performing to the best of her abilities. This can have a negative effect on her confidence in multiple areas. The way this happens most often is one teammate says something negative to a player. Depending upon who said it and how it was said, the player may process that and wonder if other players on the team feel that way, too. Even if she realizes that the only person who feels that way is the player who said it, it can be crippling to her performance. It may cause her to stop doing a skill she is actually good at just because one player said something negative to her. There may be no good reason for the other player’s words, other than that player is a jerk, doesn’t like the player she spoke to, or has her own selfish motives for her statement. No matter the reason, these intentionally negative statements can hurt a player and ultimately a team. However, there are times when the negative statements are not intentionally stated in order to hurt a teammate. Sometimes, one player is merely trying to push a teammate to be better, so she says something that in her mind is just motivational. However, the words she chose to use or the way she stated them can have the effect of making the teammate think that there is a problem. That may be all it takes for the teammate to go into a shell and stop performing well. It is also important for other teammates to step up and address these situations. They need to address both the person who said something and the teammate to whom it was said. While team captains can be the best people to address these issues, anyone (and hopefully everyone) on the team can step up and say something. They need to address the person who said it by letting him know that those kinds of comments have no place on this team. They need to be clear that teammates cannot be talking that way to one another. While a coach’s comments like this are important for that player to hear, when fellow teammates say something like this, it carries much more power. Also, the teammates need to talk to the player to whom the comments were made. They need to let him know that that is not how they feel. They need to try to find the right words to help the teammate realize that he is valued and they want him to be the player he is capable of being. They need to find inspiring words to help boost his confidence level back up to where it needs to be. While addressing the person who made the comments is important, this is far more important. The more the player knows he is liked, trusted, and valued by his teammates, the better chance that his confidence level will be where it needs to be to perform to the best of his abilities. There are two points here. One is that teammates have a lot of power over one another, so they must be careful in how they speak to one another. They must choose their words and tone wisely. They should always be trying to pick teammates up and instilling confidence. The more confident each team member is, the better chance the team has at success. Point two is that players need to learn to deal with the comments of teammates directed towards them. They must understand that not all of their teammates know how to speak in a way that they will inspire confidence. In fact, some of their teammates will just not be the nicest people they know. If a player has a teammate like that, the player will need to learn how not to let that teammate’s words enter into his mindset. He will need to learn when to listen and process and when to let it bounce off of him. While this is not easy, it is an important skill to develop. While the focus here is on how teammates speak to one another, coaches play a major role in this situation. First, coaches must communicate to their teams about how to speak to one another. They need to instill in their players that most of the messages that they should be giving each other are positive messages that inspire confidence. They need to explain why this is so important to the team’s success. While there is no guarantee that this will happen just because the coach says this, at least an expectation has been set as to how players should talk to one another. Second, coaches must address it when players are not behaving this way. The moment they hear negative statements being said from player to player, they must stop the action and talk about it. This may be simply pulling the player who made the potentially damaging comment aside and letting her know the problem with that and that it must stop. Or, the coach may choose to talk to the entire team about it, so as to make sure that everyone understands that such behavior is unacceptable. This is where the coach has to have a feel for what would be best. No matter what action she takes, she must act. Finally, coaches must make sure that when a negative situation like the one just described occurs, they check in with the player (or players) who were the recipients of the negative comments and make sure they are okay. 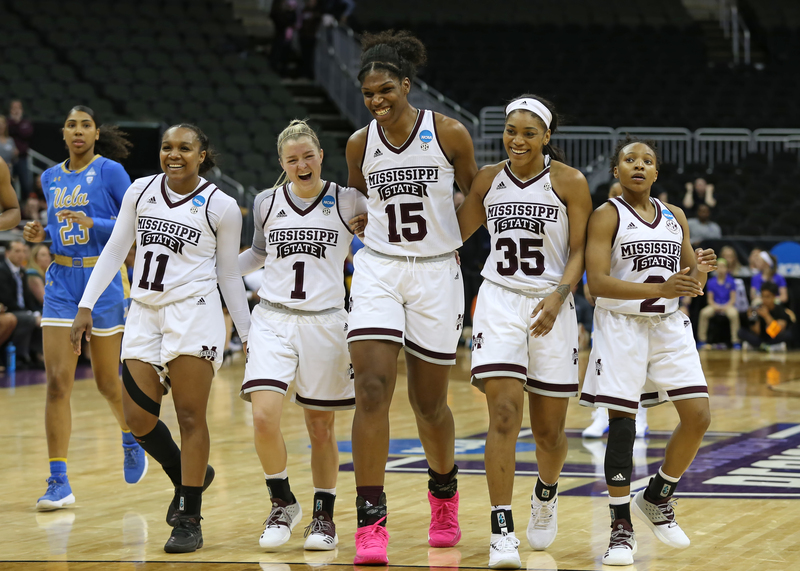 Coaches need to inject a jolt of positive confidence into these players to help them understand that the words of one teammate are not the prevailing idea on the team. Positive messages at this moment will go a long way in helping the player maintain confidence. However, coaches shouldn’t stop there. They need to keep returning to the player with positive, supportive messages of encouragement to help the player stay confident. Checking in regularly will go a long way to doing just that. Ultimately, it is up to players to determine their own confidence levels. Players must learn to take in messages that help and flush messages that hurt. This is not easy to do. It takes time and practice. Quite honestly, some players never get to a point where they can do this. But they must at least understand the dynamic of how it happens, so they can be open to the message from others that says, “Forget about it. Don’t listen to what s/he says. Just play your game.” While that may be a simple message to tell someone, it is not always simple to implement. It is crucial for players and coaches to realize that their words and actions can have a major impact on their team members. What we say and do is being processed by multiple people, in multiple ways, at multiple times. We must make sure that the messages we are sending are what we want to be sending. We must make sure that we send them in ways that build up, not tear down. While there is no guarantee that they will be taken that way, we must continue to work and speak in such a way that our message becomes clear. But we must also make sure that the message is one of inspiration, hope, and confidence-building. If you like these types of posts and articles, head on over to my website – www.greatresourcesforcoaches.com – where you can check out over three-years-worth of posts on similar types of coaching and athletic topics. While you are there, tap on the red “Click to Subscribe” button on the right side of the page to sign up to receive these types of posts delivered straight to your inbox every Friday morning.